The Sharon Merrill Associates team is excited and proud to share our own unique connection to the 2014 Sochi Winter Olympics. Julia Marino, daughter of agency CEO and founder Sharon Merrill, will be competing for a medal in the Women’s Slopestyle Skiing competition. Julia is representing her birth country, the Republic of Paraguay, as the first athlete ever to represent the South American country at the Winter Olympics. A student at the University of Colorado, Julia will be proudly carrying Paraguay’s tricolor national flag during the opening ceremonies at Fisht Olympic Stadium on Friday, February 7. The 2014 games mark the first time slopestyle, a freestyle skiing event featuring a downhill obstacle course consisting of jumps and rails, is included in the Olympics. The Women’s Slopestyle Skiing event is scheduled to air on NBC at 8 p.m. ET on Tuesday, February 11. 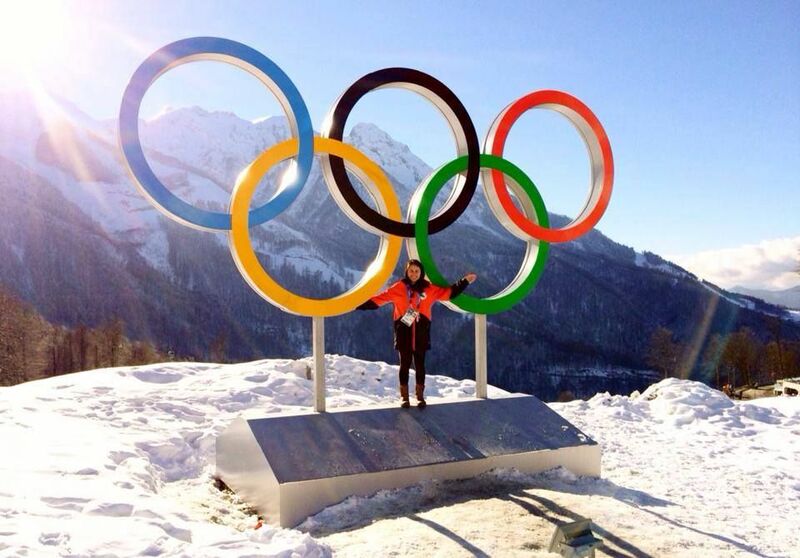 Please join us in cheering on Julia as she takes on Sochi! To follow Julia’s Olympic journey, find her on Facebook and Twitter.